My sweet granny (the kids call her GG for “great grandma”) has been making these brownies since I was old enough to pull up a chair and stir. It is the most unconventional recipe ever; nothing is mixed together in an order that makes sense to me, yet it works every time. Even today, when she comes to town or we make the trek to South Dakota to visit, Granny always has an 11×13 pan of these brownies. Slathered with frosting, my sisters and I can devour the whole pan in 20 minutes flat. They are one of my all-time favorite foods and one of the only things I make over and over again. The buttermilk is the key ingredient in these — both the brownies and the frosting. It makes both tangy and not-to-sweet. 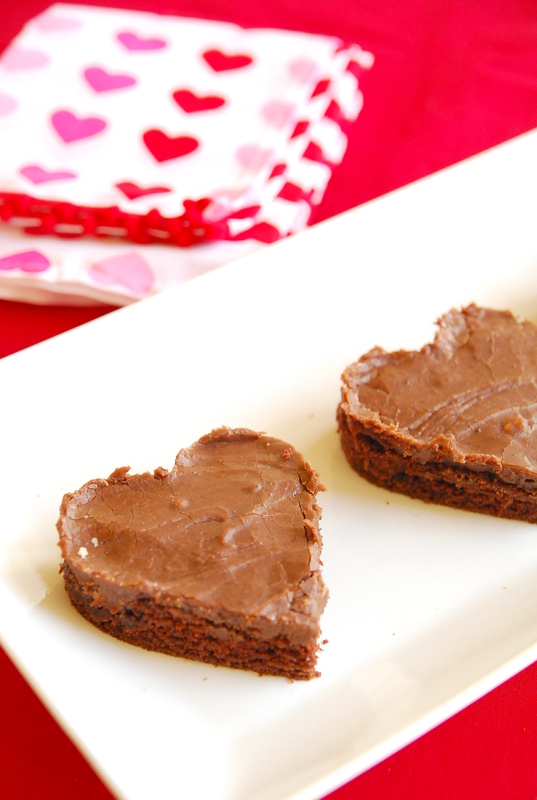 We call them cake brownies because the texture is more cake-like than dense brownie-like. I think that’s why we love them; they’re not so heavy. Anyway, these are a perfect treat to feed a large crowd since they’re made in an 11×13 pan. 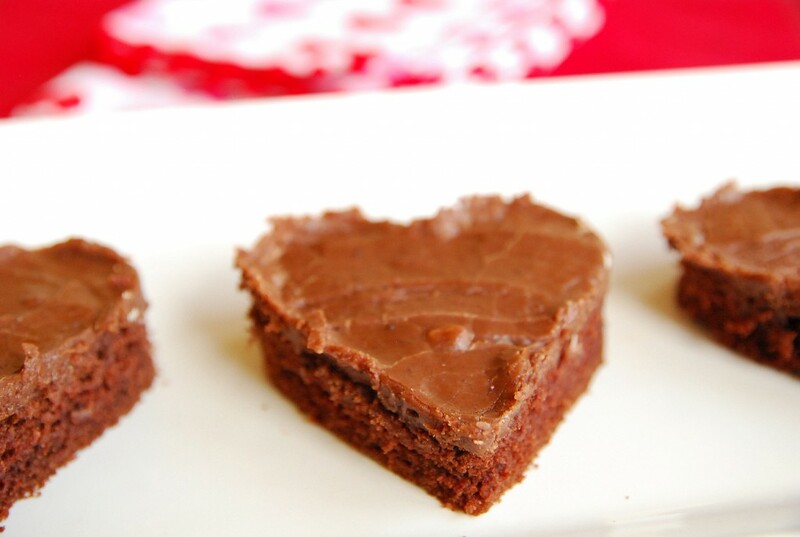 If you make them for Valentine’s Day they might — might — last the day. From my sweet granny’s kitchen to yours — make these. p.s., If you don’t have buttermilk on hand, don’t worry. For each cup of buttermilk you need, add a tablespoon of white vinegar or lemon juice to a 1 cup measure. Fill cup with milk and let stand for 5 minutes before using. To make the brownies, stir flour and sugar in a large bowl. Combine butter, water and cocoa in a saucepan and bring to a boil. Pour hot cocoa mixture over flour and sugar and stir well. Stir baking soda into buttermilk. Slowly add buttermilk, eggs and vanilla to flour mixture. Spread batter in an ungreased jelly roll (11x13 or 10x15) pan. Bake for 18-20 minutes or just until edges pull away from sides of pan. While brownies are baking, make icing. To make icing, place butter, cocoa and milk in a medium saucepan. Bring to a boil, then cool 1-2 minutes. Stir in confectioners sugar; when smooth add vanilla. As soon as bars come out of the oven, spread icing gently over top. As it cools, it will become satiny smooth.